Many of you know that FSLogix has the best solution for combining Microsoft Office 365 and non-persistent environments, such as Citrix VDI – you can read my article about Office 365 Containers here. 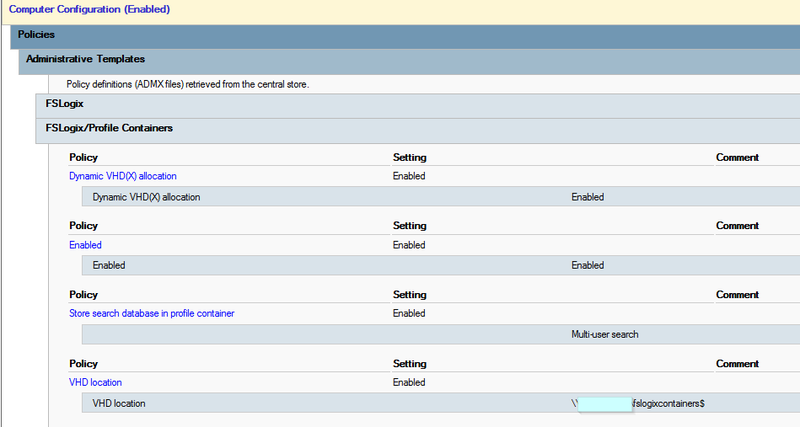 Although, FSLogix has another great product called Profile Containers. In this blog, I will explain what profile containers are, why it is an easy and a quick win for every business that is struggling with user profile issues. Furthermore, I will quickly explain how to setup the FSLogix Profile Containers. When a user logs on to their Windows session, the Windows User Profile is loaded. The profile includes everything from the users download folder to their mouse scrolling speed preference and everything in between. So you can imagine that profiles can get big. There are also some programs that create massive profile data like AutoCAD – which – due to Nvidia GRID technology, works great in a VDI environment but easily generates GB’s of profile data. If the users profile is this big a roaming profile solution won’t work. Logon will take minutes or in some extreme cases hours to complete because the FileServer will copy all the profile data to the endpoint. Even “just in time” profile technology like Zero Profiling isn’t able to handle the big application data quick enough for a good user experience because it also just copies the data from a FileServer to the endpoint but not in one big chunk like roaming profiles. So, how does FSLogix Profile Containers help? FSLogix Profile Containers creates a Virtual Hard Drive (VHD) file on a FileServer and stores the user profile including registry in the VHD file. Sounds relatively simple, right ? Although, why does this improve speed? Well, during logon the only thing that is happening is that the endpoint mounts the VHD file as a Virtual Hard Drive and then the profile is just accessible. So there is NO data copy! This results in lighting fast logons. And eliminates FileServer and network bottlenecks from logon storms. It’s worth mentioning that FSLogix Container solutions just received a new major feature upgrade, named Cloud Cache. This new functionality adds the possibility to add multiple storage repositories to the existing products to provide high availability to on-premises and cloud environments.Imagine a workspace scenario where you are running a VDI environment in Microsoft Azure. Typically, you store your profile data on a Windows file share in Azure Infrastructure-as-a-Service. The Cloud Cache Driver makes it possible to provide the store of the Containers directly on much less expensive Azure Blob Storage. 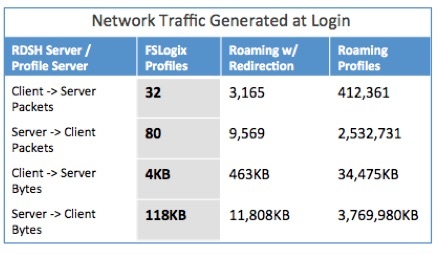 This is just one of the significant use-cases which FSLogix is solving with this tremendous new Cloud technology. Other uses of Cloud Cache include high availability in the event of storage or network interruptions, profile storage server migrations, cloud migrations, offline access to FSLogix containers, and more. To catch up on Cloud Cache, check the following blog, Introducing Cloud Cache. “C:\Program Files\FSLogix\Apps\frxtray.exe”. And thats it, your users can now logon with lighting speed and you never have to worry about profile issues again. It is an easy and simple quick win! FSLogix Profile Containers can also easily be combined with User Environment Managers like Workspace Control by Ivanti. The only thing you need to do is go to User Settings and in the Settings tab set Track User Settings to Disabled. I would recommend watching the video below to learn more about FSLogix Products including Profile Containers. And check out the FSLogix Website here. Don’t forget to also check out the SBC/VDI Profile Cheat Sheet which also includes FSLogix Profile Containers.